Four years in the making, a sidewalk beautification project for most of James Brown Boulevard is coming to fruition. 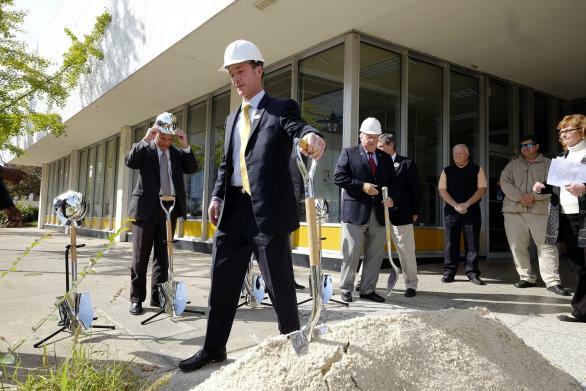 On Tuesday, city officials shoveled sand in front of the old Augusta library building at the corner of Ninth and Greene streets to mark the start of a two-part project that will add sidewalks, brick pavers, benches, trees and signs on Ninth Street, between Jones and Telfair streets and Walton Way and Barnes Street. Officials spoke about James Brown Boulevard becoming a main artery downtown as revitalization efforts are ongoing in the nearby Laney-Walker neighborhood and the recent Ninth Street additions of the main Augusta library branch and Augusta-Richmond County courthouse. 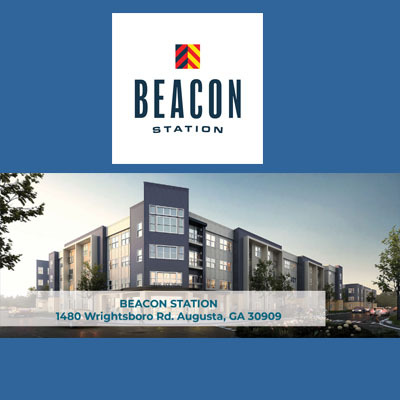 The first phase will cost $812,500 and is funded by a $650,000 transportation enhancement grant from the Georgia Department of Transportation and $162,500 in matching funds from the city and DDA. 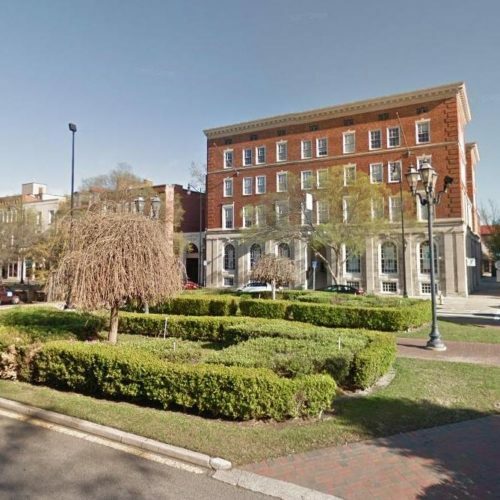 Planned in 2010, the streetscape enhancements are getting underway later than initially expected because of delays in obtaining the funding match and having to rebid the project three times, Nixon said. DDA Executive Director Margaret Woodard said the first phase should take about a year to complete, and she hopes to secure funding this year to begin the second phase immediately after the first stage of work concludes. The project’s second phase will encompass James Brown Boulevard from Wrightsboro Road to Walton Way. The entire project should cost about $1.2 million. Once completed, the street should resemble 10th Street between Broad and Ellis streets, which underwent a similar streetscape project in 2008. A future $6 million project funded by the 1-cent transportation tax (TSPLOST) to reconstruct James Brown Boulevard won’t affect the restored sidewalks, Woodard said. 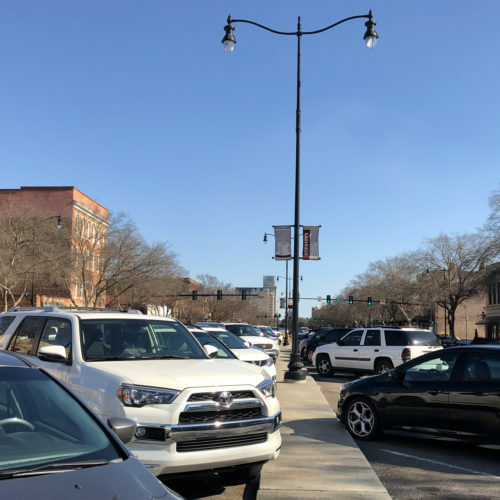 Augusta Mayor Deke Copenhaver said that about $100 million is designated for downtown transportation projects through the Transportation Investment Act. 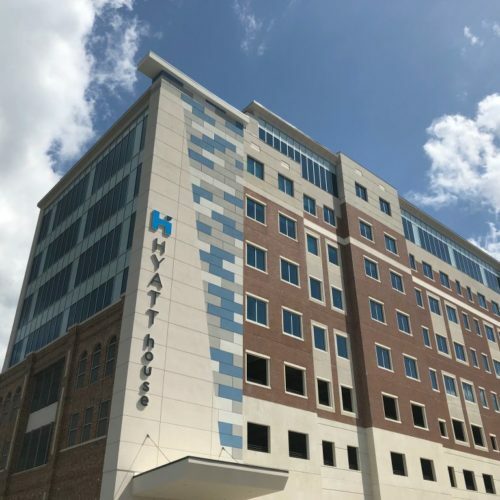 He also noted activity downtown from developments including the 106-unit CanalSide apartment building under construction on Walton and St. Sebastian ways and the recently announced Unisys IT service center, which is expected to create 700 jobs and is rumored to go in the former Fort Discovery space along the Riverwalk.